In this unit, you will learn how to talk about things you are going to do in the future. It could be something you have already decided to do or something that you just thought of and wish to do in the future. So, the next time you have to tell your friends that you have a job interview or that you are going to watch your favorite movie, this unit will help you say it. A: There’s a movie on television tonight.Are you going to watch it? B: No, I’m too tired.I’m going to make it an early night. A: I hear Ann has won a lot of money. What is she going to do with it? B: I’ve heard she’s going to travel around the world. For the difference between will and going to see Unit 8. 2. We prefer to use the present continuous (I am doing) when we say what someone has arranged to do – for example, arranged to meet someone, arranged to travel somewhere. See also section a of Unit 4. We were going to take the train, but then we decided to go by car. A: Did Tom take the exam? B: No, he was going to take it, but then he changed his mind. The girl can’t see where she is going. There is a hole in front of her. She is going to fall into the hole. Here the speaker is saying what she thinks will happen. 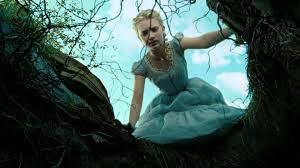 Of course she doesn’t mean that the girl intends to fall into the hole. We use going to in this way when we say what we think will happen. Usually there is something in the present situation (the girl walking toward the hole) that makes the speaker sure about what will happen. Say when you are going to do something. Example: Have you cleaned the car? (tomorrow) Not yet I am going to clean it tomorrow. I am going to call him after lunch. I called him after lunch. Correct. When you use ‘Not yet’, it means that you have still not done it and intend to do it. Incorrect. When you use ‘Not yet’, it means that you have still not done it and intend to do it. Therefore, it would be wrong to say ‘ I called him for lunch’. 2. Have you had dinner? (in a little while) Not yet…………………….. I had my dinner in a little while. I am going to have dinner in a little while. Incorrect. When you use ‘Not yet’, it means that you have still not done it and intend to do it. Therefore it would be incorrect to say ‘I had my dinner in a little while’, since ‘I had..’ is in past tense. Not yet I have painted it soon. Not yet I am going to paint it soon. Incorrect. When you use ‘Not yet’, it means that you have still not done it and intend to do it. It is therefore incorrect to say ‘I have painted it…’ since it is the present perfect tense. Not yet, I am going to fix it this afternoon. Not yet, I will fix it this afternoon. Incorrect. When you use ‘Not yet’, it means that you have still not done it and intend to do it. It is therefore incorrect to say ‘I will not fix it…’ since ‘not yet’ is used only to express the intention of doing something. If the intention is to not do something, ‘not yet’ cannot be used. Write questions with going to. Example: I’ve won a lot of money. (what / with it?) What are you going to do with it ? 5. I’m going to a party tonight. (what / wear?)…………………………………….. What are you going to wear ? Correct. ‘Going to’ is used to speak about future events that have already been decided. Incorrect. ‘What did you wear?’ is in the past tense whereas the event is in the future tense. Where was he going to hang it? Where is he going to hang it? Correct. ‘Going to’ is used to talk about a future event. Incorrect. Though ‘going to’ is used to talk about a future event, the use of ‘was’ makes it a past continuous tense or in other words, refers to an event from the past. But here, we are talking about the future tense. Who are you going to invite ? Who were you going to invite? Example: Did you travel by train? No, I was going to travel by train, but I changed my mind. 8. Did you buy that jacket you saw in the store window? No, I…………………………………………… , but I changed my mind. No, I was going to buy it, but I changed my mind. No, I will buy it, but I changed my mind. Correct. Was going to is used to say what someone intended to do in the past (but didn’t do). Incorrect. Was going to is used to say what someone intended to do in the past (but didn’t do). Therefore this answer is incorrect since it uses I will. 9. Did Sue get married? No, she was going to get married, but she changed her mind. No, she is going to get married, but she changed her mind. Correct. ‘Going to’ is used to talk about future events but in this case, it refers a situation from the past, where the event was meant to happen but did not. 10. Did Tom quit his job? No, is going to quit his job, but he changed his mind. No, he was going to quit his job, but he changed his mind. Incorrect. ‘Going to’ is used to talk about a future event. Therefore, it is incorrect when it is followed by a sentence that is in the past tense. This example will explain more: ‘ Tom, is going to quit his job. But he might change his mind any time’. In this example, both sentences talk about the future. Correct. Even though ‘going to’ is used to talk about a future event, in this situation it talks about a past event, in which the intention was to do something in the future. 11. Did Wayne and Sharon go to Japan for their vacation? No, they were going to go to Japan for their vacation, but they changed their mind. No, they are going to go to Japan for their vacation, but they changed mind. Incorrect. ‘Going to’ is used to talk about a future event, but it should not be followed by a sentence that talks about the past. Therefore it is incorrect to say that ‘ They are going to go to Japan, but changed their mind’. 12. Did you play tennis yesterday? No, I was going to play tennis, but I am going to change my mind now. No, I was going to play tennis, but I changed my mind. 13. Did you invite Anita to the party? No, I was going to invite her to the party, but I changed my mind. No, I am going invite her to the party, but I changed my mind. Say what you think is going to happen in these situations. He is going to fail his exams. He was going to fail his exams. Correct. ‘Going to’ is used to talk about a future event or when there is something about the present that indicates a future happening. Incorrect. ‘Going to’ is used to talk about a future event or when there is something about the present that indicates a future happening. In this case, Terry hasn’t prepared well and so a friend/the other person, think he might fail. The following sentence should therefore be in the future tense and not in the past tense. 15. It is 8:30. Tom is leaving his house. He has to be at work at 8:45, but the trip takes 30 minutes. (be late)……………………. He was going to be late. He is going to be late. 16. There is a hole in the bottom of the boat. It is filling up with water very quickly. (sink) It…………………………………….. It is going to sink. Correct. ‘Going to’ is used to talk about future events. It is also used when something in the present indicates a future event. The car is going to run out of gas. Correct. ‘Going to’ is used to talk about future events. It is also used when something about the present indicates a future happening. In this case, the following sentence, should also talk about the future.